Red Bull driver Max Verstappen has completed his punishment for shoving Esteban Ocon after last season’s Brazilian Grand Prix. The FIA, Formula 1’s governing body, ordered the Dutchman to do two days of “public service” after an altercation in the pits following November’s race. On Sunday, the 21-year-old attended the FIA’s annual stewards programme, an educational event for race officials. “It’s been a good lesson for me and I’ve learned a lot,” Verstappen said. Last month, the first of Verstappen’s public service days was spent with the stewards at the Formula E race in Marrakesh. Verstappen said he had “really enjoyed” his day in Morocco. He said it had given him “a good understanding of the stewards”. 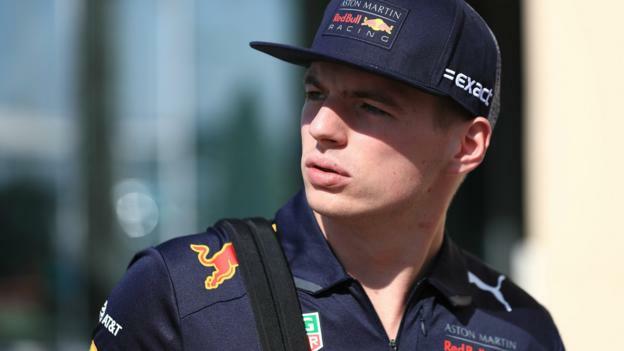 “We are doing our job on the track, trying to get the best out of the race, and it’s clear that the stewards are doing their job to find the best way to reach a fair decision,” Verstappen said. 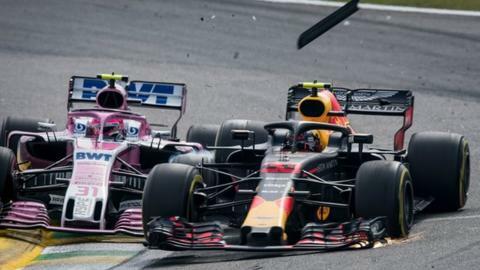 The incident with former Force India driver Ocon happened after the two men had collided on track, an incident which caused Verstappen to lose the lead and hand victory to Mercedes’ Lewis Hamilton. Verstappen went to confront Ocon in the pits after the race and, after exchanging words with the Frenchman, shoved him a number of times. The Dutchman’s Red Bull team are running their 2019 Formula 1 challenger for the first time on Wednesday at Silverstone, the same time and place as world champions Mercedes debut their new car. A busy week of F1 launches starts on Monday with the unveiling of the new Toro Rosso, and Williams’ new colour-scheme and title sponsor. Renault launch their car on Tuesday, followed by a livery unveil for Racing Point, the former Force India team, on Wednesday, McLaren’s new car on Thursday and the new Ferrari on Friday. Pre-season testing starts at Spain’s Circuit de Barcelona-Catalunya on 18 February.